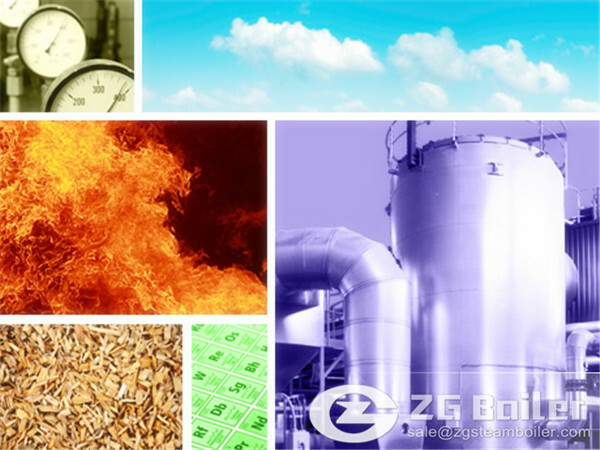 ZG biomass combustion technologies for biomass boiler can burn a variety of biomass fuels, including wood, crop remnants, wood pulp and chips, and municipal solid waste. These materials are difficult to burn efficiently in conventional furnaces because of several inherent properties, including overall low heating value, low fixed carbon, and higher moisture content. A boiler is a better choice for burning biomass fuel because it transfers the heat of combustion into steam. It is also a cleaner reaction when it comes to agricultural waste—in conventional combustion systems potassium and sodium compounds contained in plant matter react with other elements during combustion, creating slag deposits; this is not generally a problem for biomass boilers. Fluidized-bed biomass boilers are the most common type of boiler recommended for biomass fuel, which is burned within a hot bed of inert particles, typically sand. The fuel-particle mix is suspended by an upward flow of combustion air within the bed. As velocities increase the gas/solid mix exhibits fluid-like properties. According to the EPA's "Combined Heat and Power Partnership Biomass CHP Catalog," the scrubbing action of the bed material on the fuel also enhances the combustion process by "stripping away the CO2 and solids residue (char) that normally forms around the biomass fuel particles . . . allowing oxygen to reach the combustible material more readily and increase the rate and efficiency of the combustion process." 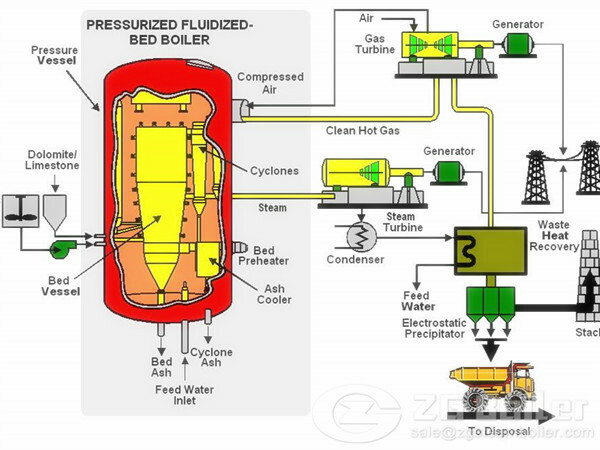 This process also increases heat transfer and allows for lower operating temperatures: bed temperatures range about 1,400° F to 1,600° F, far less than the 2,200° F for a spreader stoker boiler. Lower boiler temperatures also produce less nitrogen oxide, an environmental and regulatory benefit when burning high nitrogen-content wood and biomass fuels. Suflur dioxide emissions from wood waste and biomass are generally insignificant; however, if sulfur is a contaminant it can be neutralized by adding limestone to the fluid bed.